Ambrose McEvoy was a society painter mainly known for his portraits of the rich and famous but also painted landscapes and other scenes. He was intially trained at the Slade and worked with other painters such as Sickert in Dieppe. He had several one man exhibitions and his work is in galleries worldwide. He was sponsored by Claude Johnson who was the Commercial Managing Director of Rolls-Royce and a benefactor of the arts. Several portraits of the Claude Johnson family exist plus Johnson edited a limited circulation book about McEvoy and his work. 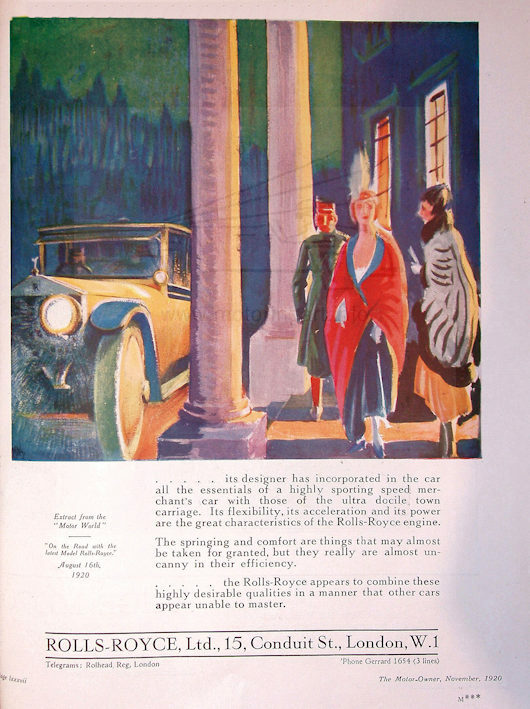 There existed a series of 24 unsigned paintings that were used for advertisements in periodicals such as Colour magazine and Motor Owner magazine during the period January 1917 to April 1921. 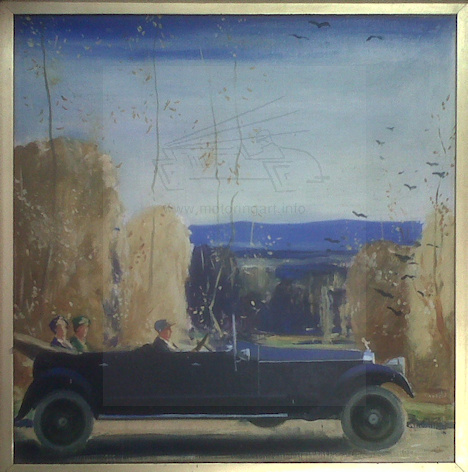 These paintings originally hung in a corridor in Rolls-Royce’s headquarters in Conduit Street, London. 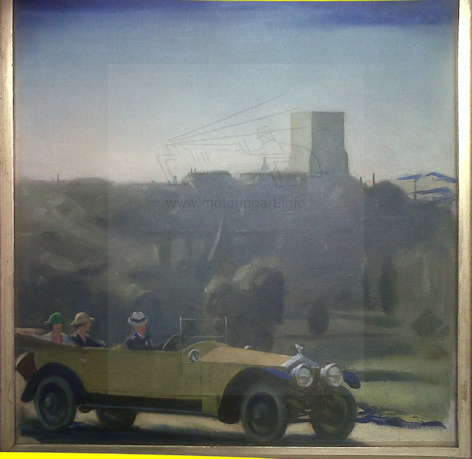 One of these paintings formerly the property of a Director at the RR Crewe works appeared in auction in August 2011. 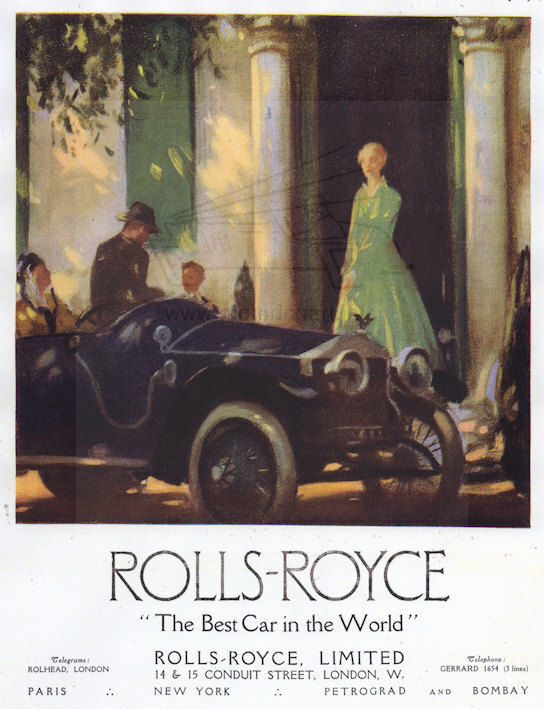 This was the original for an advertisement that appeared in Colour magazine in January 1917. 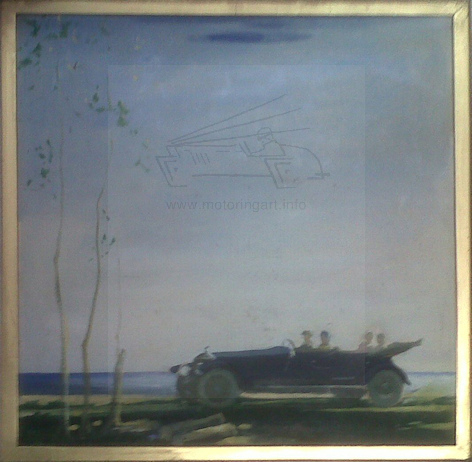 By complete coincidence three more of the paintings were donated to the Rolls-Royce Enthusiats Club in August 2011 from Dennis Miller-Williams who used to work at Rolls-Royce in London. Following an opportunity to view all four paintings side by side, it would appear that they are by the same competent hand and similar in style. All are oils on canvas, one is canvas on stretcher whereas the others are canvas glued to plywood, there are size differences. The size differences can be explained that the artwork was painted over a period of four years reflecting the changing models of car. It is strongly believed that all these are the work of Ambrose McEvoy and show similarities of style to his other works. 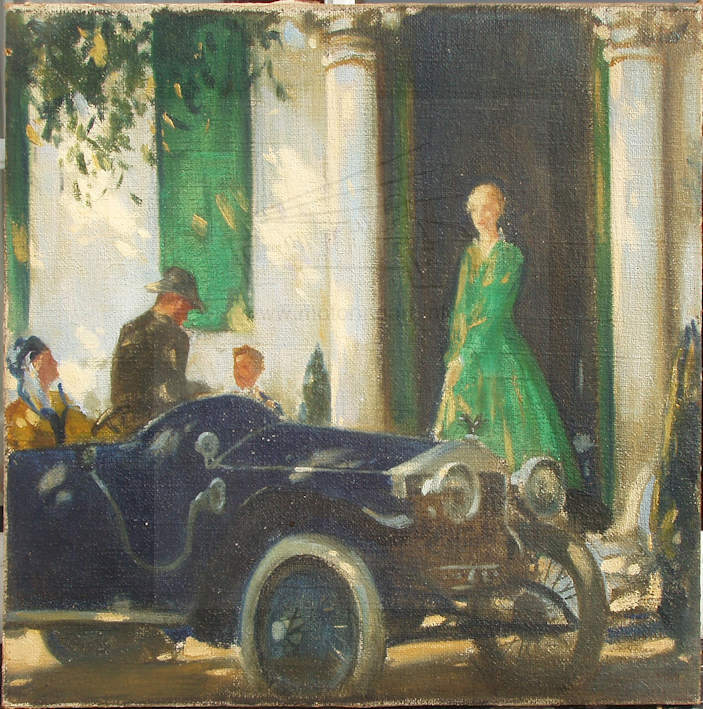 The details of the cars are very loose and point to the work not being a specialist motoring art artist. In view of the close connections between Johnson and McEvoy it would be logical for him to be commissioned to produce the artwork. Another interesting point is that looking in detail at the advertisements one of the paintings has in fact a small MAC mark at the lower left. This advertisment is different in style to the other twenty four. Again whether this artwork is by McEvoy or by another has not been determined but a strong argument could be put forward that within his circle of friends he was known as Mac. Thanks to Tom Clarke for his assistance with this research.